Warning: The following post contains early-game spoilers for Days Gone. This month Game Informer (subscribe here) is pulling the curtain back on the PS4-exclusive survival game Days Gone in a big way, with a full month of coverage. A variety of interesting tidbits have already been revealed, but now GI has kicked it up a notch by revealing the first 50-or-so minutes of the game. Unfortunately, we can’t embed the video, but you can check it out by clicking the image, below. For those who don’t have an hour to spare, the video packs in a whole lot of stuff. The game starts with player character Deacon and his best friend Boozer chasing down Leon, a scumbag who beat up a friend and stole their drugs. Deacon eventually catches Leon using his tracking skills, and, after a shootout, has to choose between giving him a merciful death or leaving him to the freakers (the folks playing choose the latter). Unfortunately, Deacon’s bike is damaged catching Leon, so you set off to an old rest stop called Crazy Willie’s for supplies. Along the way, Deacon and Boozer must make their way through a dark, creepy tunnel, take out some freaker nests, battle terrifying child zombies called “newts,” and run up against the Rippers, a nasty cult that worships the freakers. We also get a peek at Deacon and Boozer’s headquarters, which is located in an old ranger’s station, and one of the game’s encampments. Oh, and Deacon loses his souped-up bike, permanently, and is forced to start building a new one. Booo! Brrrr! 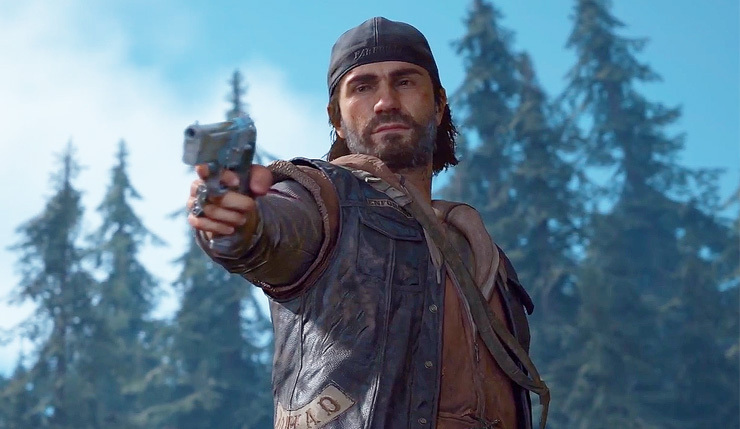 Days gone is still in pre-beta, so the footage is a bit rough – the framerate seems to be a bit unstable, and some glitches pop up, but overall, Days Gone looks promising enough. The game doesn’t do anything too groundbreaking, but its world looks pleasingly detailed and cohesive. The video is definitely worth checking out for yourself if you have the time. 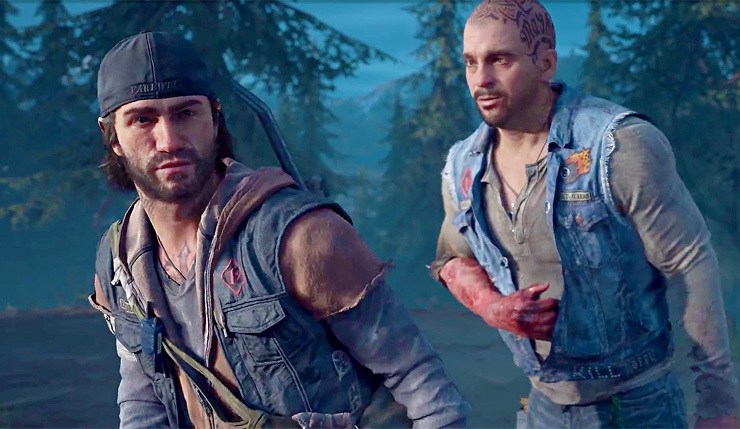 Days Gone shambles onto PS4 sometime in 2019.